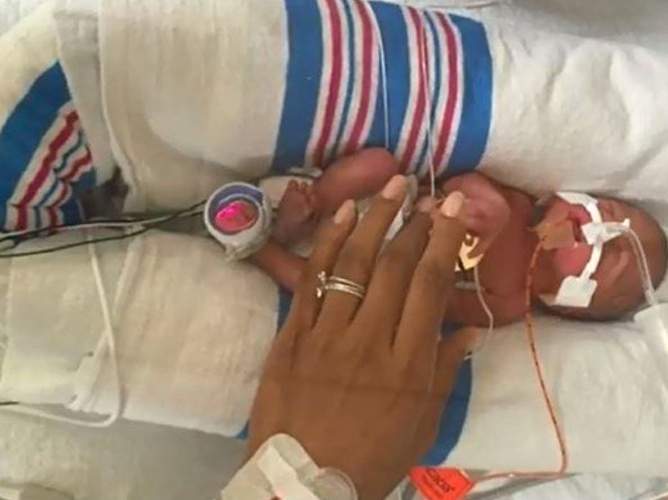 This mother left a glove on top of her preemie baby. The nurses were touched the next day. In 2001, Yamile Jackson was excitedly awaiting the arrival of her first child. At first, her pregnancy was going well, but in her sixth month, Yamile developed a serious case of pre-eclampsia (a dangerous disorder that causes high blood pressure, among other things). 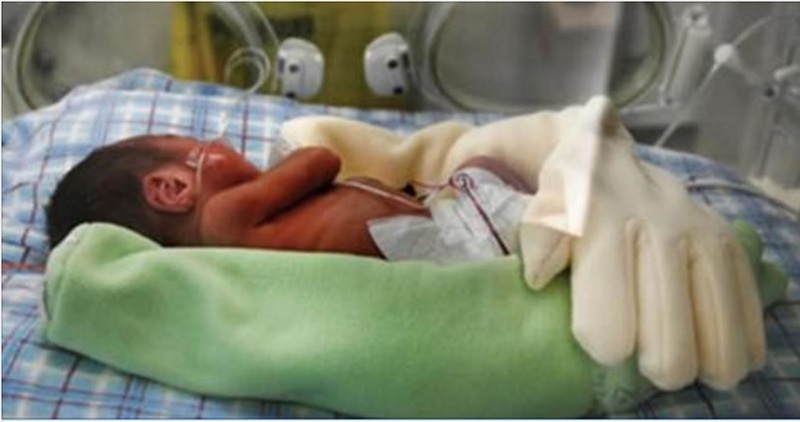 In order to save mother and child, it was decided that Yamile should give birth immediately. A full 12 weeks before he was due, little Zachary came into this world. 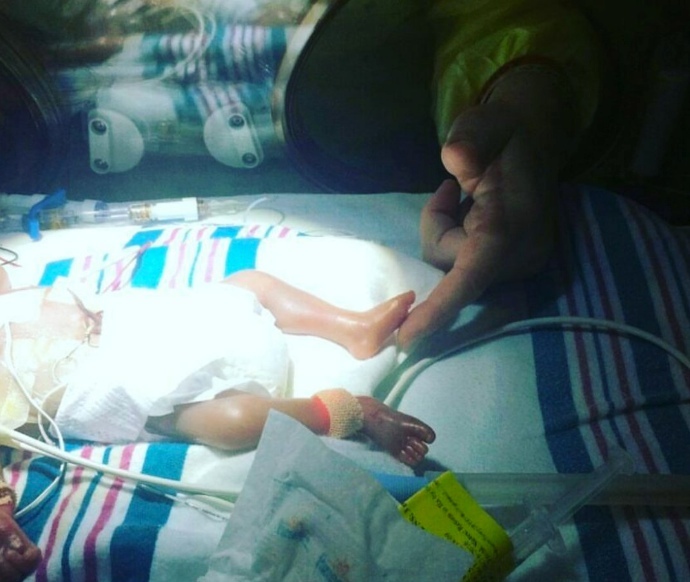 The preemie baby barely weighed 2.5 lb and had to spend his first 155 days in the ICU. 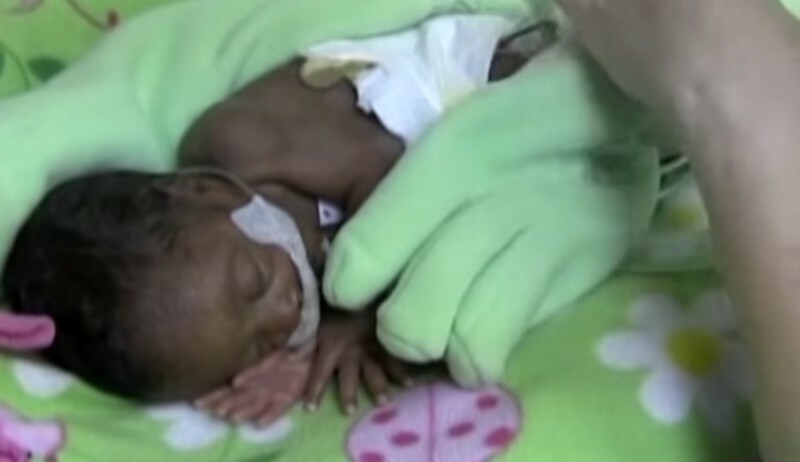 Yamile spent every day by his side, but she was forced to leave the hospital overnight. Every goodbye broke her heart. 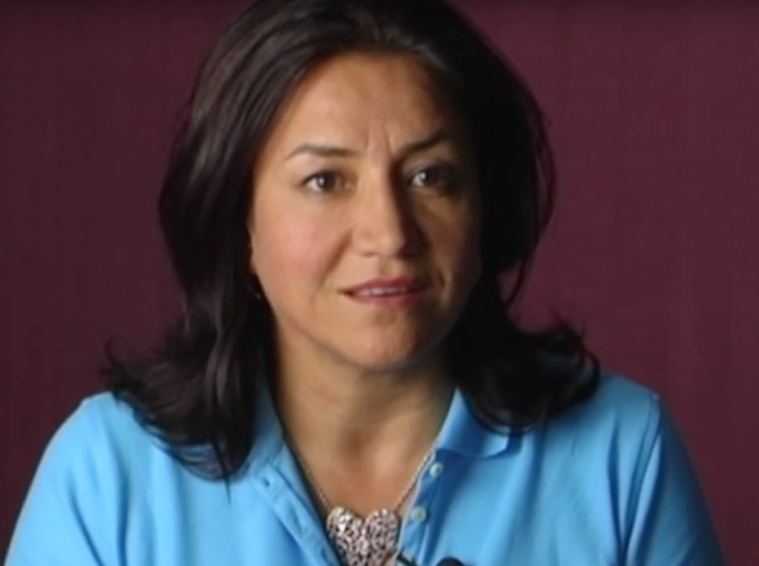 She hated leaving her son behind in the cold, sterile intensive care unit. She really just wanted to keep her baby in her arms day and night; he needed to feel loved around the clock. So Yamile considered how she could "be there" even after she went home. 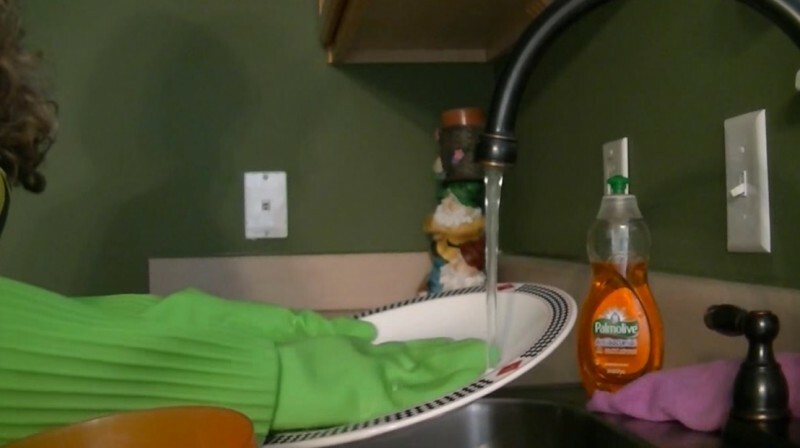 One night, as she was washing dishes, the rubber glove caught her eye. Yamile immediately got a crazy idea that she just had to try. She filled a cloth glove with linseed and took it with her to the hospital the next day. She kept the glove near her body all day long as she sat by Zachary's side. When it was time for her to go, she placed the glove, which was now covered in her scent, next to Zachary so he would have the feeling that she was by his side all night long. ...the hospital wanted to know if she had any more of her gloves! They wanted to try this method with other ICU babies. So, Yamile got started: She made more than 100 models of "Zaky" for the hospital using a range of materials and fabrics. Parents and hospital employees were blown away and there was suddenly increasing demand for "Zakys." These gloves seem to calm all babies, so Yamile has been overwhelmed by the number of requests she's received. In fact, the glove has turned out to be such a success that she decided to found her own company: Nurtured by Design. Now, more and more babies can benefit from the calming effects of these gloves. Studies have shown that babies who sleep near the soothing smell of their parents and who have the feeling of a comforting hand nearby are noticeably quieter, intake more oxygen, and suffer from fewer complications. Wow, how wonderful that a clever mom has so dramatically changed the lives of so many parents and newborns—and to think it all began while washing the dishes! Zachary has since grown into a healthy teen and is very proud of his inventive mother.